Happy Monday! I hope everyone had a fabulous weekend. We’ve been busy unpacking from our big move last week. I didn’t realize how much stuff we had. It’s definitely time to get organized and throw stuff away. I probably should have done that before we moved it all to a new house. After a busy weekend, I just want to see what you all have been crafting, baking and sharing. I’m ready with my glass of wine to get this week’s Create Link Inspire party started. So, let’s party people!! Share your latest and greatest with us! 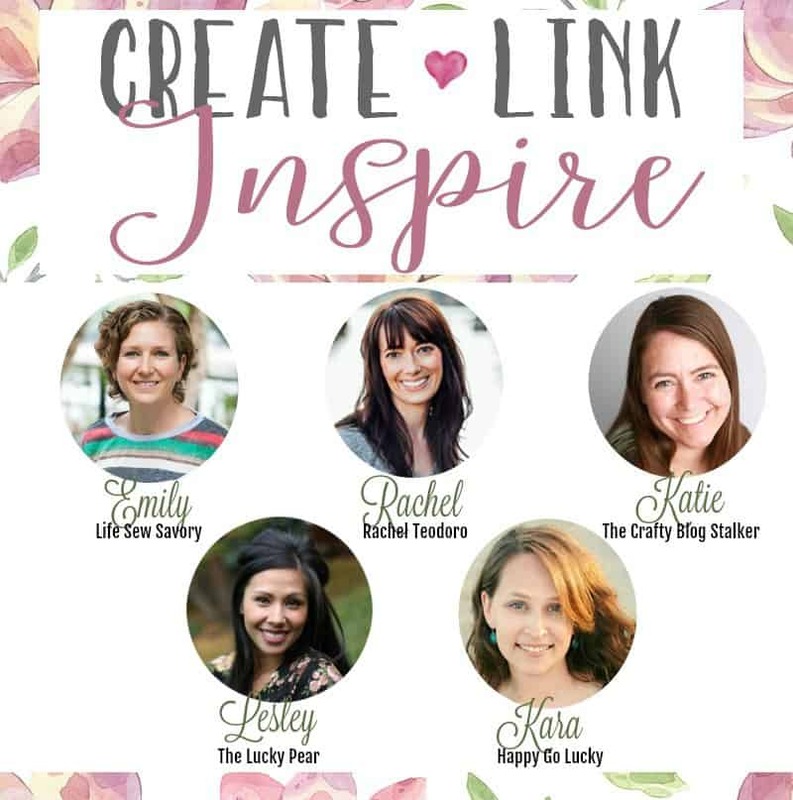 The Create Link Inspire Party starts at 9:30 EST on Mondays. Link up your latest blog posts and then check out what everyone else is sharing. And, don’t forget to follow all of your fabulous co-hosts. Make sure you check all the blogs to see the weekly features as we all feature our favorite links from last week’s party! We also pin all our featured projects to the Create Link Inspire Pinterest Board so make sure you are following along. I will also be sharing on my Facebook page throughout the week so stop by and visit me there.